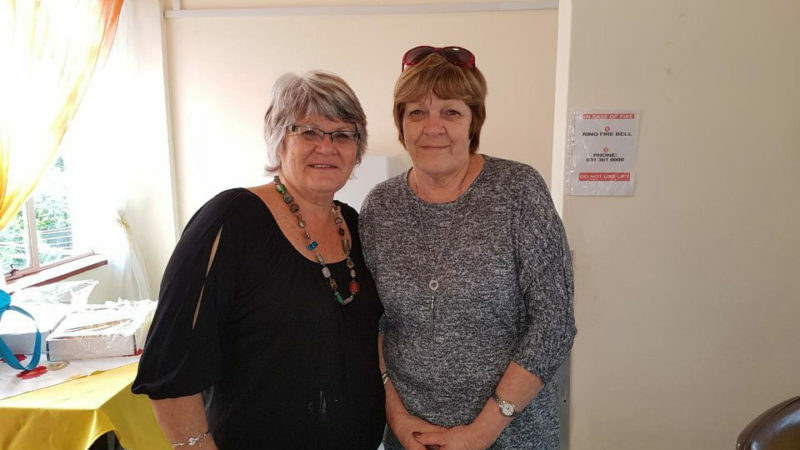 Trustee and volunteer Pat Horrmann has a soft spot for the elderly hearts at Thembela Home. Every June Pat and her sister Sandy visit Thembela to share some love after Mother’s Day and before Father’s Day with nearly 50 residents at the home. This year we thought we’d join in. Having visited many times before with Bless-a-Granny, we know just how special the residents are and how much they enjoy the time and interaction – the smallest little blessing means so much to them! Thank you to the beautiful team of volunteers who joined Pat and our chairlady Cindy Norcott this morning, as well as Rene Tshiakanyi who performed for the residents. His music always lights up the room when he joins us on our Bless-a-Granny visits. Thanks also to the Dis-Chem Foundation for donating some wonderful toiletries for their goodie bags – each Granny and Grandpa was blessed and just beaming with joy!